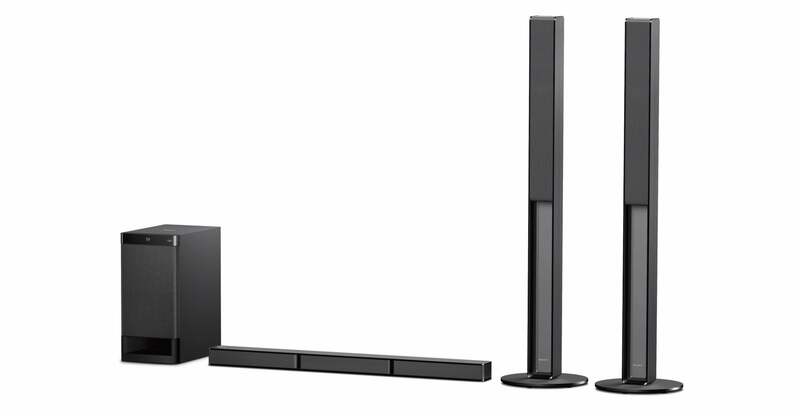 The Sony HT-RT40 is a stylish 5.1 channel home theatre system. With a total power output of 600W, you can enjoy a true 5.1 surround sound experience, when watching movies, or listening to music. Sony HT-RT40 Home Theatre system. Image credit: Sony. The HT-RT40 is easy to install, and connects to television sets via HMDI cables, or one touch wireless connectivity via Bluetooth or NFC. So, what’s new? HTRT40 boasts a thinner sound bar and tallboy surround speakers with dedicated center speakers to enhance clear dialog. The sound system also comes with a Music Center, which allows you to browse through and play music on your smartphone using an app powered by the Smart Remote Commander concept. With additional specifications like HDMI out, optical input, analogue input, and a USB port, there are many ways to play your music, and pump up the volume.